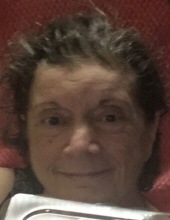 Mancuso, Teresa Lee - Age 71, of Burton, died September 3, 2018. No public services will be held. Arrangements provided by Sharp Funeral Homes. Teresa was born September 9, 1946 the daughter of Arthur and Leona (Boshart) Miller. She was a 1964 graduate of Clio High School. Teresa is survived by her son, Daniel Mancuso; brother, David A. Miller; her aunt and uncle her raised her, Lyoyd and Joyce Kelsey and their children who were like brother and sister to Teresa, Brian Kelsey and Janell Kelsey - Pawlus. She is preceded in death by her parents. Tributes may be shared on the obituaries page of www.sharpfuneralhomes.com. To send flowers or a remembrance gift to the family of Teresa Lee Mancuso, please visit our Tribute Store. "Email Address" would like to share the life celebration of Teresa Lee Mancuso. Click on the "link" to go to share a favorite memory or leave a condolence message for the family.